There are 13 blog entries for April 2013. Tuesday, April 30th, 2013 at 2:05pm. Atlanta has fastest home price increase since 1992! We are delighted about this news at Highrises.com, Atlanta's source for downtown condos and lofts. Now is the perfect time to buy as the competition is heating in Atlanta. The graph above is from the S&P/chase-shiller home price index published on April 30th, 2013. Monday, April 29th, 2013 at 2:34pm. There are so many great reasons to live in the Little Italy neighborhood of San Diego, but one of the best has to be the ArtWalk. We were there last weekend and had a great time. We started out with brunch (and a London's Burning cocktail) at PrepKitchen and then headed down to all the great artist displays along the streets of Little Italy. This is one of our favorite neighborhoods in one of our favorite cities. We can't wait until next year! Interested in seeing what's available? Check out our Little Italy condos page to see the latest listings. Monday, April 29th, 2013 at 12:02pm. Thursday, April 25th, 2013 at 4:24pm. 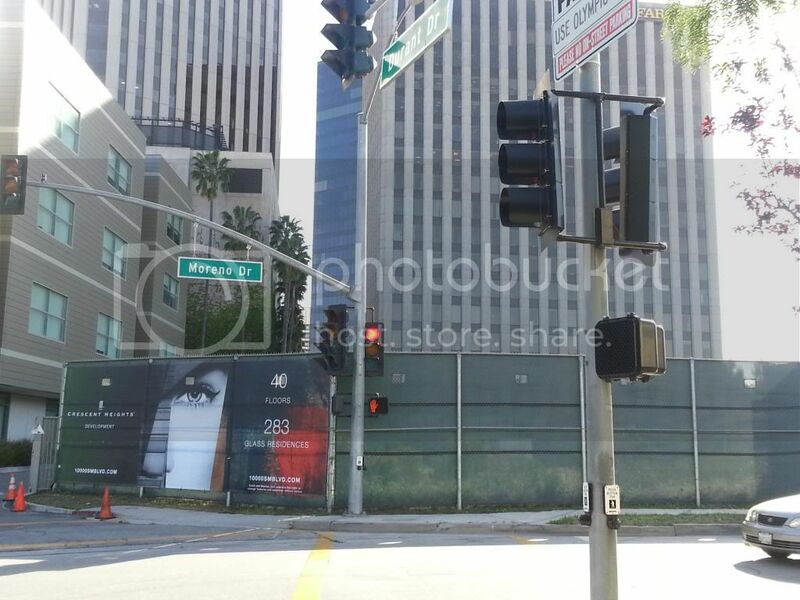 Although not confirmed by the developer, photos are emerging with new banners on site at the new 40 story, 283 unit building will reach for the skies in Century City at 10000 Santa Monica Boulevard. The Miami developer, Crescent Heights is looking to move forward after two years on hold. Interested in a Los Angeles Condo? Search Now! Thursday, April 25th, 2013 at 3:06pm. The long awaited development of Market Square Arena in Indy moved a humble step forward on Monday when city officials received six proposals for the development for the Market Square Area site. The proposals include condos and mixed residential and retail spaces. “We know there is a lot of interest. We have already been approached with some interesting ideas.But, make no mistake, I want to be bold,” stated Indianapolis Mayor Gregory A. Ballard in his annual address a few weeks ago. And bold is what looks like it is in the work for Indy residents. There is even a 52 story skyscraper to be considered as city officials decide what to do with the Market Square Arena. Wednesday, April 24th, 2013 at 10:11am. We are nearing the end of the typical season in Naples Florida, and here is a list of suggestions for closing up your home in the summer months to ensure your home is exactly as it was when you headed north. 1. Have someone visit your home once a month to make sure there are no issues that need to be addressed. 2. A regular monthly check by either a neighbor or a professional will also ensure that appliances are still working, mainly the air conditioner. If the A/C unit were to fail, there would be mold everywhere, including the walls and the furniture. Along with that, you might want to install a humidistat. They are great for regulating moisture control in the home. Monday, April 22nd, 2013 at 1:15pm. The Axis in downtown San Jose just came back online to sell out all their remaining studios and one bedroom condos. We for one are not sure that the Developer was not prepared for the pent up demand that was waiting for these units to hit the market. With over 25 units in contract after less than a weeks time I am certain that they will be sold out in a matter of weeks and not months. Wednesday, April 17th, 2013 at 12:54pm. Fannie May released their housing forecast for April 2013 and it shows an expected increase in home prices for 2013 and more modest increase in 2014. Economic growth in the first quarter of 2013 was 3.2%, a pace that Fannie May sees as unsustainable. Friday, April 12th, 2013 at 3:17pm. An overwhelming 71% of bankers surveyed by Professional Risk Managers’ International Association believe that the increase in home prices are sustainable in the context of mortgage and lending risk. Also another 59% expect the demand to be met for credit for mortgages and 60% expect the demand of refinancing to be met as well. Thursday, April 11th, 2013 at 3:31pm. The Dallas-Fort Worth real estate market has made a drastic turn around from the year prior. According to The Real Estate Center at Texas A&M University, condo and townhouse sales are up 55% with some districts seeing double the number of sales. With mortgage rates low, rents rising and unemployment down, the number of buyers are increasing. Some Dallas and Fort Worth condos are seeing bidding wars with multiple offers within days. The condo and townhouse market is trumping the sales of single family homes which is still at an incredible 22% increase. The market is hot and we can help you navigate to help you find your perfect home.